I couldn’t decide what to make next for the Amigurumi Advent Calendar, so I asked some vague this-or-that questions on Instagram. 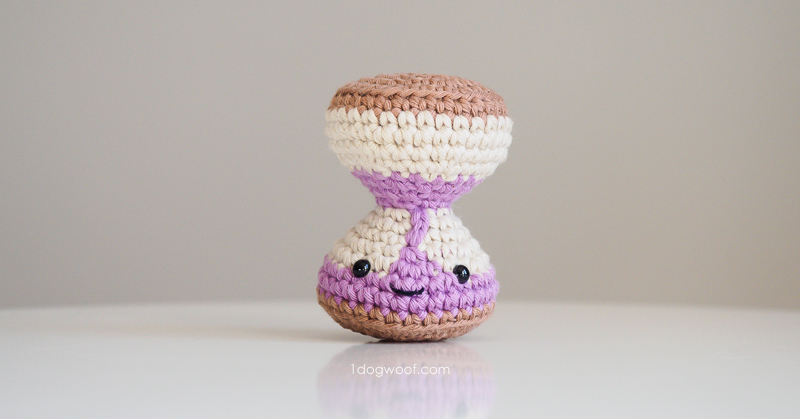 When given the choice between an alarm clock and an hourglass, the audience collectively chose for me to design this amigurumi hourglass! It took me a few tries to get the right look of the sand falling down through the hourglass, but then, this is just a simplification of the concept, right? Plus, the kids and the husband all recognized it, so I consider that a job done well enough, lol. The hourglass is worked in seamed rounds, changing colors at the seam several times, and changing colors in the middle of the round a few times too. This amigurumi uses quite a few of the techniques you’ve built up over the last few weeks. You start with a magic circle, use a seamless join, change colors, and add detail with a few well-placed surface crochet stitches. Check out the following videos if you need help on any of the skills needed! 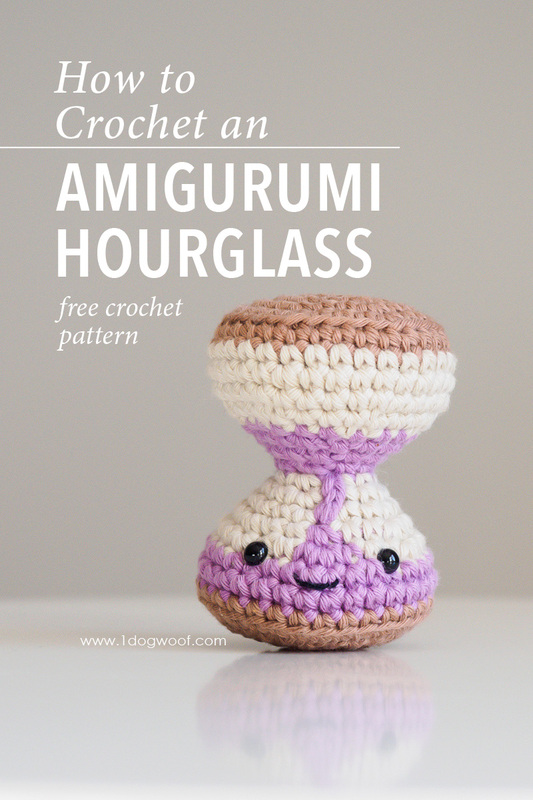 For the basic amigurumi techniques like the magic circle, seamless join, and amigurumi close, you can use my Amigurumi Flan video tutorial which goes through the making of an amigurumi from start to finish. If you’re unfamiliar with how to change colors without leaving a jog in the seam or how to change colors in the middle of a round, you can use my Amigurumi Peppermint video tutorial, which focuses on color changes. Then, for the surface stitches, see my Amigurumi Sleigh Bell video tutorial to see how to take a yarn end and surface crochet a few stitches down your amigurumi to create final details. Rounds in hourglass are worked with a seam and joined with a seamless join. Cut C1, and weave in ends. Switch to C2 (SAND COLOR). Cut MC, and weave in ends. Cut C2, leaving an 18 inch tail, bring tail to outside of the amigurumi. Cut C2, and weave in ends. Take the long tail from after Round 14, and surface crochet 3 stitches to meet the tip of the C2 triangle. You can also choose to simple back-stitch the line to the tip of the triangle. Add eyes between Rounds 19 and 20. Sew mouth between Rounds 20 and 21, centered between the eyes. Stuff the remainder of the amigurumi. Fasten off, close and weave in ends. Go enjoy your new hourglass! Head over to the Amigurumi Advent Calendar intro post to see the entire collection and share your work with the hashtag #AmigurumiAdventCAL. 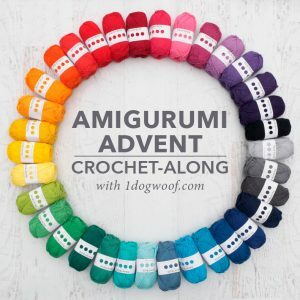 Amigurumi Advent Calendar Crochet-Along: Get Started Here!